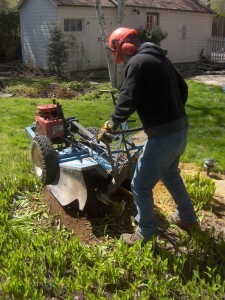 We offer stump grinding for our customers to remove new and old stumps. We have the machinery to access gates 34” wide and grind 6-9 inches below ground level. We do recommend recycling and reusing the stump grindings as mulch for your trees and gardens. If requested, we will gladly make arrangements for topsoil and sod.